What cars will we be driving tomorrow? Richard Bruce, Head of the Office for Low Emission Vehicles, thinks he knows the answer. Did you know that for a number of years in the early 20th century New York City had a 1,000 strong fleet of electric taxis? Or that the four stroke internal combustion engine, omnipresent under the bonnets of most of our cars today, uses processes invented by Nikolaus Otto way back in 1876? The early part of the 20th century saw tremendous innovation around personal transportation and, although few may have noticed, we are now well into the early stages of a similar revolution in the technology that powers our vehicles. My team, the Office for Low Emission Vehicles (OLEV), exists to help make that change happen as fast as possible, and to help deliver the greatest benefits to the UK economy when it does happen. If you talk to any major car company, their product plans will show a consistent trend: increasing numbers of hybridised and electrified vehicles. Partly this is due to companies responding to customer desires – such as ever lower running costs. But there’s no escaping that the prime driver is regulation: consistent, stiff, global regulation of the emissions from cars. Countries around the world are looking to clean up their cities in the face of burgeoning urbanisation. Poor air quality costs the UK around £15 billion a year and compared to Beijing our air is a paragon of cleanliness. Countries are also looking to reduce their dependence on imported oil and to hit their carbon targets. All are also interested in maximising the benefits to their own economies from this incipient technological revolution. For the UK, a new generation of ultra-low emission vehicles now offer low or zero emissions at the point of use. And despite what you might hear on Top Gear, this isn’t undermined by the fact that the electricity in electric cars may be generated by burning fossil fuels. Electric motors are spectacularly more efficient than equivalent combustion engines, which have overall efficiencies of only around 20–30 percent (so, for every £10 you put in the tank, only around two to three pounds is actually helping you move forward – the rest is lost in heat and noise). You need less total energy to move an electric car because it’s so much more efficient and as the power grid in the UK decarbonises, so electrified vehicles will become relatively cleaner and cleaner. The efficiency benefits also mean startlingly low running costs. You can drive 100 miles on electricity for as little as £2. So, in the context of worldwide pollution targets and regulation, the shift to ultra-low emission vehicles is inevitable. This transition presents huge commercial opportunities for car companies and their suppliers. It is also a significant economic moment for the UK, if we can get ahead of the curve. Nissan currently builds its LEAF electric vehicle in a plant in Sunderland. If the UK market for ultra-low emission vehicles grows ahead of competitor markets, we are more likely to attract inward investment, creating jobs and boosting the UK supply chain. If we can help UK companies develop the technology that will underpin cars for the next 100 years then we can position the UK to fully exploit this transformation with long-term strategic benefits. Several strands of policy meet here: growth, skills, transport infrastructure, the environment. The cross-cutting nature of this agenda isn’t unique in Government, but OLEV has been constituted in a fairly unusual way. Rather than run the risk of the Department for Transport (DfT), the Department for Business, Innovation and Skills (BIS), and the Department of Energy & Climate Change (DECC) pulling in different directions, staff from all three departments make up OLEV. We might physically sit in the DfT, but we also report to a Minister from BIS. Perhaps the best thing about this arrangement is that our stakeholders, on the whole, love it. We give them a one-stop shop for talking to Government and helping shape policy, rather than making them go from department to department. And this helps us in turn, because our goals and the goals of industry are very closely aligned. The car companies who invest in research and development and bring the cars to market, have sunk costs in the vehicles and factories. They want to sell as many of these cars as they can. And we want them to sell as many as they can for all the reasons listed above. We’re in it together. Every month we peruse the sales of the growing number of ultra-low emission vehicles, looking at steadily increasing demand and pondering which models are going to be the biggest sales hit. It’s a pretty unusual civil service role. The UK Government knows this change is inevitable, and so do car companies. But public awareness is still low and the media remains generally hostile. OLEV started this Parliament with £400 million to support the move to ultra-low emission vehicles. 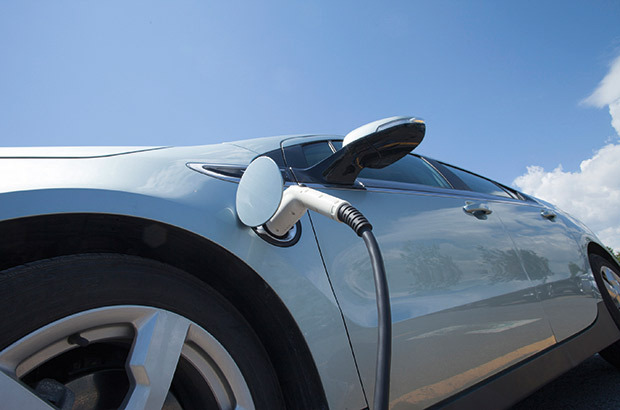 As recently as mid-February 2014, the Daily Telegraph reported that “A Government drive to boost sales of electric cars is failing as ministers admitted only half of the available subsidies for “plug-in” vehicles are likely to be claimed by motorists”. Initial projections and budgeting were based on the car companies’ estimates of how many units they would sell, which turned out to be wildly optimistic. There are other issues as well. For the first few years very few cars were available. If you wanted to buy an estate to fit the dogs in the back, or an a sports utility vehicle you had to buy a petrol or diesel car. That’s now changing, with manufacturers bringing a wider range of vehicles to market. And there have been significant issues with negative media. This is reflected in stories, even if they’re apocryphal, of journalists borrowing an electric car, driving it round off-camera to run the battery down, and then filming it running out of battery. But reviews from the specialist press are far more nuanced now, even though they often have a ‘But...’ at the end. The Tesla Model S has been good for the perception of ultra-low emission vehicles. It’s expensive; but can go 300 miles on one charge, is faster than an Aston Martin, and even updates itself over a 3G network. Charging infrastructure is another issue. All the evidence shows that people will charge their cars at home or at work (99 percent of all car journeys are under 100 miles) but prospective customers have ‘range anxiety’ and want to know that there is a publicly accessible charging network out there. The ‘chicken and egg’ question is how much bigger a network is required than the 6,000+ charge points OLEV has funded to date. Plug-hybrid cars, which many manufacturers expect to be best sellers, can have ranges of up to 600 miles, and don’t need any public infrastructure to make longer journeys. But overall, it’s clear that this technology will only become normal when people see their neighbours plugging their car in to charge, see their colleagues driving one to work, or their friends booking a test drive. The challenge is getting them in the cars in the first place. The fact is, when anyone does, they say two things. They say ‘It’s just a car isn’t it?’ And they say ‘Isn’t it smooth, quick, and quiet and nice?’ We had a great tweet from someone who runs a taxi firm with electric cars in the North East. Two people he had in the back of his electric taxi liked it so much, they decided to go and buy one themselves. That’s why we sat down with car companies and suggested we collaborate on communications, to address some of the chronic misconceptions about this technology in the minds of both the media and public. Nissan, Toyota, Vauxhall, Renault, and BMW have all contributed large amounts of money to back our new Go Ultra Low campaign. The process of getting five disparate car companies, who have very different brands, who are used to doing their own marketing in their own particular way, to agree on a single campaign has been an interesting challenge and took the best part of a year. The campaign sees a range of press advertising, radio adverts, digital display and PR activities throughout 2014. This is all supported by a new website – www.GoUltraLow.com – to help car buyers understand what these vehicles are all about, which one is best for them, what innovative technologies the cars use and how they can save them money on running costs. The tide is turning. We gave out 600 percent more in subsidies for new cars in January 2014 than we did in January 2013. So, despite what the media might suggest, this isn’t a failed policy. In fact it’s just a long term policy and one whose importance has been recognised in the recent spending review: we were allocated a further £500 million between 2015 and 2020 to maximise the benefits from this transition for the UK. We’re sometimes seen as the poster boys of cross-departmental working. Not many teams are made up of staff from three different departments. But how does it work? There’s a really strong identity and culture in the team. The people here identify with, and are interested in, the agenda, are very motivated by the work and they work really hard. It’s a tightly-knit group, and we have a lot of fun together. If there’s a downside to that strong identity, it can be a degree of separation from our departments. Staff tend to feel loyal to OLEV first and foremost; and there’s a danger of seeming sealed off from parent departments. Recruitment can also be an issue – some people can be reluctant to leave their home department, physically, because they feel that visibility has a big impact on their career prospects. Personally I don’t agree – in my view we should just try to do interesting, good work; if you’re interested in your work you’ll do a good job; and if you do a good job, people will notice you. But this can be a challenge when we’re trying to attract people – we didn’t have a staff member from DECC for almost a year, for example. There can also be challenges around departments sometimes downgrading their own efforts on this agenda because of the existence of a joint team and around some of our contributor departments occasionally forgetting that actually we work for them too. My staff have line managers in their departments, and it’s important that they keep going back to their home offices, to stay plugged in (sic). Part of their value to OLEV is that they can access their departmental networks; and if they didn’t, then that would a problem. So, for example, our DECC guy makes sure he spends at least one day a week physically with his old team, finding out what’s going on and talking to them about what we’re doing. From my perspective, this is the job I joined the civil service to do. I’m really interested in this stuff. Ultimately, if you could work in an area that’s going to clean up our towns and cities, help create British jobs, position the UK in the forefront of a coming technological revolution, improve energy security, and help us hit our carbon targets, wouldn’t you jump at the chance? it'll never happen. without massive government subsidy electric motoring will become the preserve of a rich elite and government needs the votes of the man/woman in the fiesta who would rather the government spent massive amounts on other things. it would be wiser for government to invest in producing 'clean' comprehensive public transport and cycle networks to produce a viable alternative to car use. I think that the diminishing reserve of natural resources will inevitably dictate the trend towards adopting electric cars. It may take a few years yet but I hope that they will become common place on our high streets. "Ultra-low emission vehicles (ULEVs) are not the answer to every transport problem and, as you suggest, Government is also investing heavily in public transport‎ and promoting more sustainable travel. However the private car can't be un-invented and people really value the personal mobility it can bring. That's why it's important that ‎Governments work with car companies to bring to market affordable mass market ULEVS. You might be surprised how affordable they already are. You can buy a brand new Renault Zoe for around £13k and a year old Nissan Leaf for around £10k." This is the government barking up the wrong tree. The reason electric cars will fail is the battery technology. They have been trying for years to increase the capacity of batteries and have failed. Also if you buy an electric car the batteries are ultimately rented, because of the cost, thus making the vehicles even more expensive. Why are the government not investing in hydrogen fuel cell cars, the technology is out there and if they can ensure a adequate supply of hydrogen this would really make a difference. I've been driving a Nissan Leaf for two months now, and I can't see myself ever going back to the ICE age. The same seems to be true of all of us early adopters. Richard, clearly you are right about the need to get people into the cars - I'd like to see multi-brand test-drive events, active promotion to taxi fleets and more. The major manufacturers have their role to play, but Tesla provides a unique opportunity to convert the true petrolhead. I'm looking forward to the launch of Formula E in Beijing for the same reason. Make the electric cars "tax free". Both road and VAT. This will be off set by the lower pollution levels. Damage to structures and environment. Fewer burning injuries and petroleum spills. Noise pollution will be significantly reduced. Especially when we get the technology into heavy goods vehicals. Putting induction plates in motorway service station car parks ( slot metered) would increase the range AND decrease tiredness accidents. Recharge car and driver at the same time. Build recharging points into all multi-storey car parks. Savings on all petroleum materials alone, would make the country "self sufficient" in such energy requirements. Who can afford to pay the premium price for the cars? And while most trips are under 100 miles, there is still the need for the ability to drive long distance, so you are forced to maintain two vehicles. If you take a holiday to Europe what do you do? And most of the electricity still comes from fossil fuel. And that which doesn't require heavy subsidies. The main thing is don't concentrate 8 million people in a single place. Most of those 8 million don't drive daily anyway. I use a wheelchair and need to have a private vehicle. Otherwise I would be stuck at home. When I go to London, I usually do take the bus but not always due to a time limitation. I would love to drive an electric car. My journeys tend to be very short with no public transport alternative, or, the cost of public transport together with the time factor makes a car journey easier and cheaper. An electric car is sadly not within my budget which at best could only ever be £1K unless I went for a lease car option, which do not appear to be available for electric cars. Adrienne - Electric cars certainly are available on lease terms. You might like to look at the 'social trials' component of http://www.myelectricavenue.co.uk, which can put you behind the wheel for £219 a month. Some of us save that much in fuel costs! Many thanks Neil. I took a look and I've applied to trial an electirc car for a 'social' project Myelectricavenue are running. £219 is way out of my budget but I'll see what the project is offering. I have enjoyed reading the original article and the subsequent comments. There's no doubt in my mind that electric and plug-hybrid cars are going to be a very big part of the future of private motoring in the UK - I for one will be looking into the various options. I also enjoyed your article, and I hope that electric cars, charged using electicity from renewable sources, really takes off. Does the Civil Service intend to use electric cars in it's own fleets? Do you know the average life expectancy of the batteries, by that I mean how many times can they be re-charged before begining to fail and how much do the batteries cost to renew (if that's ever required)? Nick, yes there are plans for Government to increase the number of ULEVs in its fleets. We're reforming Government Buying Standards to encourage all departments to look at ULEVs in the first instance and will also shortly be launching a £5m scheme to subsidise the lease cost of ULEVs in Government and wider public sector fleets. Concerns over battery longevity are reducing as more people have experience of the technology. We only offer the plug-in grant in manufacturers can evidence reasonable longevity in the packs and some manufacturers are now confident enough to offer an 8 year warranty on their battery packs. There's a Nissan LEAF in the US that's done over 100,000 miles in a few years. A replacement Renault Zoe battery pack is priced at £7k I think but no one's ever needed one that I'm aware of. I like the idea of the torque delivery and smoothness of electric vehicle, especially some of the motorcycles that are being developed. But I have issues with the pollution and environmental impact of battery technology and recycling, along with the financial costs. Also, I have lived in and know many people who still live in high density urban areas - tower blocks, Victorian terraced houses, etc where just a parking space can be hard to find. How are people in these sort of areas (the prime targets for EV takeup due to their normal usage patterns) supposed to charge their new transport? I often had to park upwards of 100 yards from home. Those without an EV in this sort of area will not leave EV spaces free for long, especially if they are put in but there is a time before the EV takeup means they are filled. Concerns such as this and the initail / battery replacement cost will I think lead to EVs being a socially stratified means of transport for some time to come. O, batteries do require energy to be manufacturered, but if you look at the overall life cycle impact (in CO2 terms) then battery electric cars still compare very favourably to traditionally fuelled vehicles because they are so much more efficient in terms of energy usage. There are many studies that confirm this and a good summary can be found here (http://www.theccc.org.uk/wp-content/uploads/2013/09/Ricardo-AEA-lifecycle-emissions-low-carbon-technologies-April-2013.pdf) on slide 134!! And when battery packs are no longer suitable for the tough demands of being in a car there are plenty of other, second life, uses they can be put to including supporting the grid and maybe even providing home energy storage. I agree that charging for those without off street parking can be challenging. But over 60% of UK homes do have off street parking and with the cost of chargepoints coming down there is nothing to stop local authorities installing chargers for residents with on street parking. We have a grant fund available to support this. As with Keith Ambrose' comment below, it was the whole environment impact of bettery production / recycling that I was concerned about - mining, refining, recycling , disposal, etc. I have driven a hybrid Honda that my department had - I found it to be a lively and fun car to drive, while still returning well over 70mpg. The surge of acceleration with the battery assistance and the regenerative charging when braking made it easy to keep the battery pretty full. It never felt like an economy / environmental car. As with many of the comments above though, I feel that the technology will be socially stratified for a long time by initial cost, local charging availability, etc. And given the prevalence of copper cable theft, how secure are the recarging cables? I could see a streetful of electric cars suddenly being snipped free of the charging points for a few quid of cable by the unscrupulous with a set of insulated croppers. Hydrogen would appear to be the ideal future fuel, but it is still the production problem - making it involves (normally) electrolysis, so it still requires a serious scale of electricity generation. The person who invents the way to liberate free hydrogen WITHOUT electricity being needed will free the world or become very rich, possibly both. With all combustion technologies, it is the introduction in current circumstances that is the problem. If someone tried to introduce the petrol / diesel internal combustion engine now they would be laughed out of court at the idea of the public being able to self fuel and drive around with gallons of exlosive liquids which then produce all sorts of noxious gases as a byproduct of their combustion. I think the difficult part to convert people is that at present it takes about 2 mins to fill an empty car where as an electric car will take much longer. Also worst case scenario you run out of fuel, you walk a mile, buy a jerry can and then fill her up. But with electric cars you can’t exactly go and buy a charged battery then carry that back to your car. The chances of this happening are pretty low, I’ve only ran out of fuel once in the 13 years I’ve been driving but I imagine the fear of this would put some people off. I’m in the north east and charge points are found in a lot of car parks here as well as on street parking and I regularly see them in use. I expect Nissan’s Sunderland plant producing the Leaf would have helped influence this to some extent. It’s not just this little car though, I can’t remember the names of the other cars but I’ve seen a Renault saloon a Volvo hatchback and I think it was a Lexus 4X4 all plugged in and charging. I personally like the idea of an electric vehicle, in my household I have a motorbike as my main vehicle and we have a VW transporter camper. There’s a lot of work going into electric motorbikes but the range for these are far lower than an electric car and at present I wouldn’t be able to achieve the range I require on a daily basis. As for our camper I haven’t looked into vehicles of this type. At present it’s not an option for me but in the future it would definitely be a consideration. I too like the idea of an electric bike - I do about 100 miles a week commuting, through mostly urban and suburban roads where the maximum speed is 40mph bar all but about 3/4 mile. I looked at the Zero bikes when they started importing them, but £10-12,000 for a bike when the same money would get a Rocket III? As it is either of my current bikes will generally do 60+mpg on that sort of run and save me 20-30 minutes a day over using the train. The electric option wouldn't save me any more time and would need to have a phenomenal battery pack life to offset the fuel costs. I used to own an electric & would love another one. Petrol 'recharging' takes 2 minutes at the pump.... plus driving to the petrol station, queuing, paying... takes 20 minutes out of my life. OK not long but the electric van I plugged in as I arrived home, unplugged as I left. Took, maybe 30 seconds. In terms of impact on my time, the electric was far less trouble to recharge than the petrol one. As for reducing emmissions - take into account battery manufacture, battery life and transmission losses over the national grid then current vehicles offer no advantage over a small petrol car except reduced local pollution (a bit like using an electric fire at home instead of coal, the pollution occurs at source). If public funds are needed to reduce pollution and encourage innnovation, lets see all those filthy diesel buses replaced by electric power - the architecure of a bus chassis is far more flexible than a passenger car and routes could be scheduled to accomodate recharging. All sounds well!!! Where is all the lithium etc, coming from for these batteries, causing enormous damage to parts of the world we don't see. Where is the electric coming from for this re-charging... power stations out of sight of most peoeple in their urban communities. Start looking at the whole of life costs of a vehicle from manufacture to scrap. NOT just its mileage emissions. Batteries deteriorate over time reducing range, at least a fossil fuel car tends to stay consistent. To be honest most EV cars are boring to drive and uninspiring, with a range that plummets in hilly areas. All cars including EV's should be assessed on the full life cost to the environment from manufacture to rscrap/recycling. The electric produced elsewhere for recharging still damages the enviornment. The future should be the hydrogen fuel cell, with PV hydrogen refillers at home to top up the car and no extra expense of re-charge point in towns and cities. The ultimate answer is to have a 'local economy' i.e. to have a lot of people work as close to their home as possible, in their home town or even local neighbourhood as much as possible. Encourage home working, home shopping etc. and distant learning and on-line conferences. Invest in good footpaths, cycle paths, public transport, community transport schemes, bus passes, mass rapid transport (trams, metros, light railways) and canals. Encourage children to walk and cycle to school and invest in school-buses. Make pedestrians safer. See Amsterdam and Zermat for good public transport. You could always become Venice and have more urban canals - we already do have them; most British cities are built on a river. If you have to use electric cars, then charge your batteries from a sustainable source e.g. solar panel on your roof. Also let's put a vehicle tax on imported vehicles, so that more are built locally and invest in skills training to create jobs in this sector. By the way, I don't see any mention of satellite-based speed control in an article about the future of cars. This is an area I've been keen to see grow for a while. Electric cars combined with greater sources of solar & wind power provide this country with a much needed shield from external politics & price increases, not to mention the health benefits for society (even if you take the view that Electric Cars are just moving pollution from traffic in the cities to power stations in less populated and isolated areas). I personally would love to see some major UK investment/incentivisation in the battery industry which underpin Electric Cars and many other current or future technologies (mobile phones for instance) as this will be a major growth area over the next few decades which the UK needs to be a leader in and batteries are the biggest cost differential in the EV Vs ICE comparison. I would disagree with people who say EVs will never become mainstream. The questions are HOW SOON rather than IF, and WHO leads and therefore gains the greatest benefit. Look at the USA where you can essentially drive for free coast to coast via a Tesla Model S, utilising their free charging stations. The potential savings to motorists, and haulage companies (and therefore their customers) are obvious once the technology behind them becomes cheaper. I'd lik to know why the battery packs can't be linked to Solar panels to extend there charging range or possibly linked to a wind driven turbine to supply the battery or am I talking nonesense? Surely, central government and local authorities have to take the lead regarding the environment. If government departments bought more electric or hybrid vehicles, and encouraged their use on short journeys, we would all have cleaner air, and, have less pollution. Of course, no one in government wants to take the risk for fear of failing, but, if nobody took risks, we would not develop as a nation, or globally. Twenty one years ago in Liverpool, the local authority responsible for our transport, known as Merseytravel, introduced one of the first fleets of thirteen fully accessible buses in the UK to the people of Merseyside. At the time, the decision was heavily criticised by the media as being a waste of public money. But, after a period of time, the gamble paid off, as the local bus companies, and eventually those elsewhere in the country, began investing in fully accessible vehicles for their fleets. Today, almost all buses on Merseyside, and an increasing number around the country, are fully accessible. Surely, someone has to take the same leap of faith in government, and invest in environmentally friendly vehicles for their fleets, like we did on Merseyside twenty one years ago. Used to own a factory-built Citroen Berlingo E500. Brilliant. The best around-town vehicle I've ever owned. Much smoother than an automatic, no creep, uses up next to no power in traffic. High levels of torque from the electric motor means it pulls away perfectly even on hills. Why don't I still have it? Couldn't get it serviced anywhere in Wales. I found /one/ bloke in the country who could work on electrics and he was flat out too busy. If I wanted any work done I'd've had to trailer it to London. Sold it, sadly, spares or repair, (although for more than I paid for it). The moral of the story however is that the infrastructure issue is more than charging points. Yes the EV has a £5k subsidy, and the most efficient diesels have a price premium.. but Nissan wont budge a penny on purchase price.. many manufacturers will knock 6% or more off a new car purchase.. And of course so far we are only talking about commuting distances.. the remaining miles would need a second vehicle.. But for joe bloggs on the street.. like me.. it is unaffordable and unattainable .. The government needs to do something drastically radical to push these cars for the private buyer.. it is volume sales that will give the economy of scale required to bring down manufacturing cost.. and drive demand for infrastructure and the tax breaks need to come to the general public not private sector executives with good perks.. who let's face it are happy enough paying the higher income tax their current company cars attract.. Relatively few employers offer company cars these days as the tax structure means it is far better to buy your own and claim mileage for work related journeys.. it seems government tax policy is yet to embrace the new technology to enable the average earner to be "green" in their transport choices.. OLEV may be joined up.. but not everyone is "in the box".. let alone thinking outside it..?? Aside from all this.. one positive thing we discovered at the Mitsubishi dealership.. if you live in an o2 telephone network enabled area, you can apply to British Gas for a free charge point installation - even if you dont have an EV.. We have asked for one on the basis it might just add value to our house if we come to sell and a potential buyer has an EV! Gordon, I think you'll find that costs are coming down all the time. My Nissan Leaf Acenta costs £219 a month to lease *including* the battery (via myelectricavenue.co.uk) and I use roughly £40 worth of electricity to cover 1500 miles a month (that's without Economy 7 but occasionally using Ecotricity's free rapid chargers on longer journeys). Running a petrol car at 50mpg over the same distance was costing me almost £200 a month in fuel alone. A word of warning for those who are waiting for costs to fall further: how long do you think the Government will be happy to accept just 5% VAT on electricity used for road transport? Batteries are the bottleneck! When do we expect to see the next advance in battery technology? I welcome the push towards more ultra low emissions cars and electric cars, however, I think we need to make sure we will facilitate the demand for them at petrol garages and at dedicated charge stations. It seems a trifle odd that we should embark on an investment strategy when a disinvestment strategy might produce faster results and a significant improvement in the balance of payments. Compare inter city buses in Mexico with Greyhound America and then consider building large car parks at the motorway intersections with large bus stops. Then encourage the driver to sell his car to the pool. Drive to the intersection, get on a bus and pick up a car at the other end. All that fuel saved without making a single car! An integrated flexible road transport service for negligible investment in a bunch of car parks. Remember, the biggest causes of congestion are cars parked on the street and cars driving down the road, remove the two in one go in favour of the trunk bus. I'd love an electric car. I dont have to travel that far in a day so it would be feasible. I am one of the millions who live in a terraced house with no off road parking. So it is a sheer impossibility (unless I get a charger fitted at work...but then I can't drive anywhere over weekend). Have to agree with others on here, Hydrogen Fuel Cell cars are the future, all the advantages of petrol/diesel with none of the drawbacks of Electric cars which is old technology now compared to HFC. Car companies are just heavily promoting EC at the moment as they have invested an lot of money in them and need to cash in before HFC takes over and makes them obsolete.